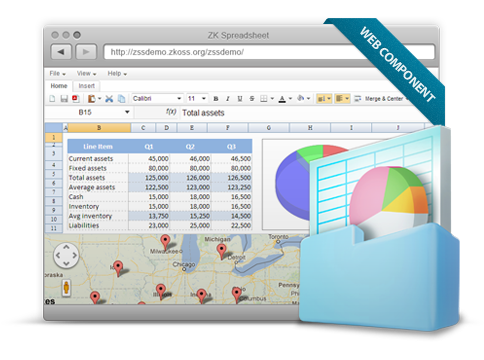 ZK Spreadsheet is an embeddable Ajax component for Java Web Applications. It is currently being used in leading world banks as well as many other organizations that had heavily relied on Excel in their daily work, such as Adobe and Seagate. ZK Spreadsheet allows you to embed your Excel sheet, along with all its styles and formulas, to your web application so that everything is done online in the same application. No more manual Excel tasks in your workflow! It also provides an on-premises collaborative platform, giving you the best security ever. This session is suitable for both project managers and Java developers. Seats are limited and available on a first-come, first-served basis, so register today! *Those who have signed up successfully, please check your e-mail. You will receive a confirmation email 3 days before the chosen session. Please respond to the confirmation email to secure your seat and obtain WebEx access information.